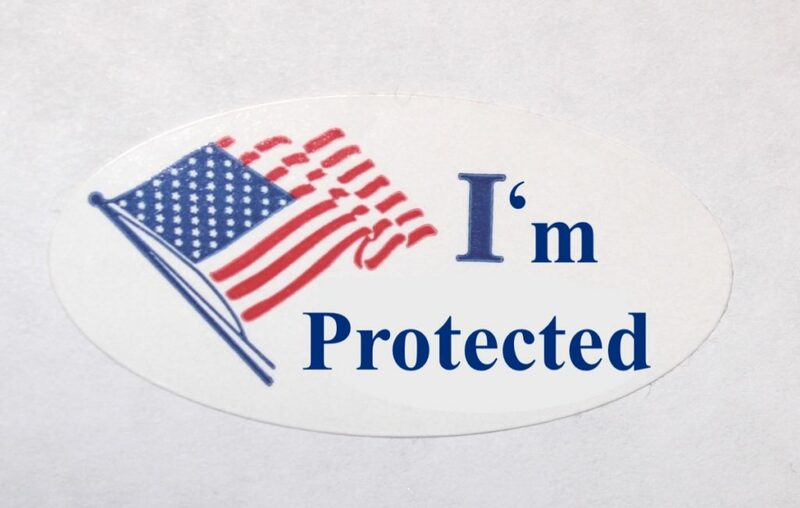 Yesterday, I woke up at 6AM to vote in Midterm Elections, in person, for the first time in my American life. I got there just as my polling station opened. There was already a line snaking all around the school hallway, full of people ready to cast their ballot. Most of these people had probably done some research about the candidates and proposals on the ballot, and knew more or less for whom and for what they’d be voting for. What most of them probably don’t know, is that our voting data is public record and is being sold to data brokers and marketing agencies. Legally. Registered to vote? Your voter record was (probably) sold. 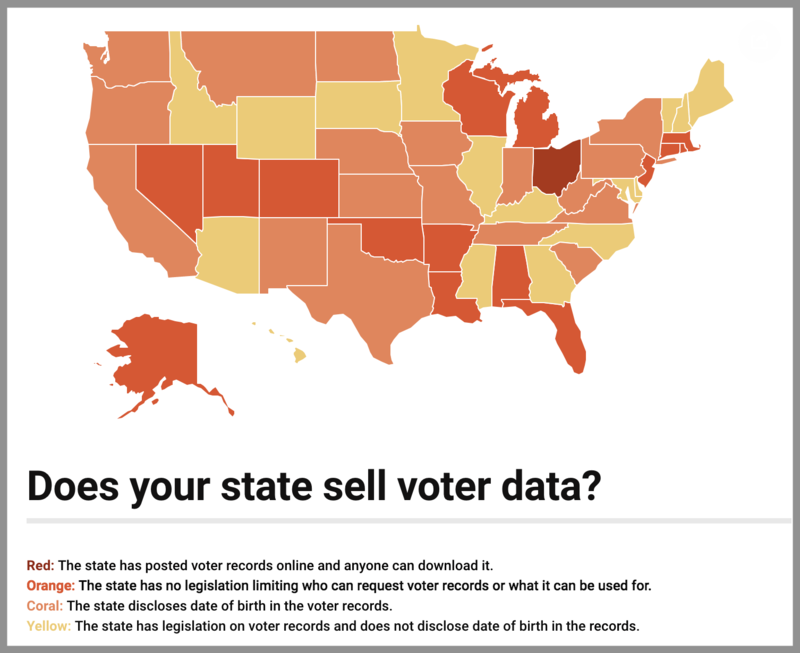 If you’re registered to vote, chances are your personal information has already been aggregated and sold. When you register, you give away your basic personal information like your name, address and phone number. This is then uploaded to a statewide voter registration database that can be accessed by almost anyone online. 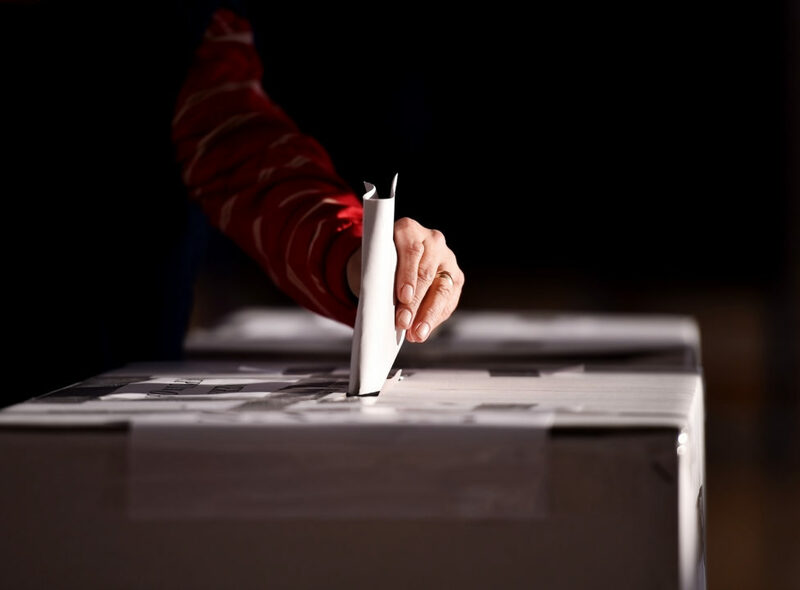 While some states do have restrictions on the use of voter data, states like Alabama, Alaska, and Florida have no restrictions – meaning that anyone can request this voter data for any purpose. Why is my voter record public record? In 2002, the U.S. passed the Help America Vote Act (HAVA) in response to the Presidential election controversy between George W. Bush and Al Gore in 2000. When HAVA was established, it required all states to maintain centralized and computerized voter registration databases, opening the door for the modern revolution of political campaigning. Nowadays, whenever you register to vote, you update your public record and your information is uploaded–and sold. 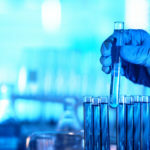 On top of this, campaign software marketing companies like Aristotle or NationBuilder legally obtain troves of voter data at the state level to be used for campaign targeting and strategizing. These companies amass giant databases of personal information by gathering credit card purchase data, buying information from other data brokers, and even conducting online surveys. Then, this data is combined and cross-referenced with voter data, pinpointing voter interests. The most recent example of this comes from Cambridge Analytica’s use of Facebook data to create targeted ads in the 2016 Presidential election. But this practice has been around a while, and it’s not slowing down anytime soon. 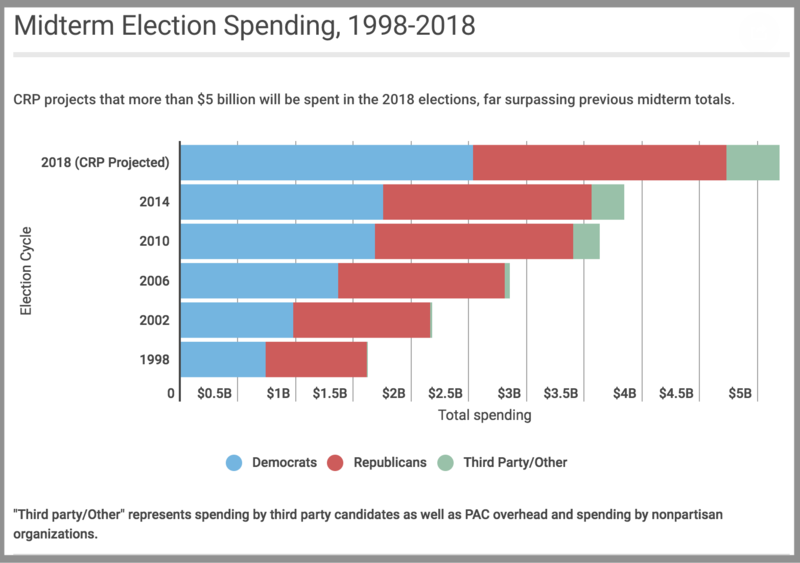 Election spending for the 2018 midterms has exceeded $5 billion–that’s $1 billion more than was spent on the 2016 election. This industry is largely unregulated, and it’s been making millions of dollars off of voter information; selling it to campaigns and political organizations. Voter data is combined with data broker data (property ownership, marital status, wealth and income, spending habits, browser tracking, etc) to get a clear picture of you, and then send you targeted ads. In today’s world, this is how voters–and elections–are swayed. On top of that, your personal information can then be sold back to data brokers, meaning that others can access it and use it to take advantage of you–steal your identity, commit financial fraud, stalk you, and so on. So, not only are these companies 1) acquiring your data in a way that you didn’t realize was possible, and 2) using it to sway your vote, they are potentially 3) selling it to cyber criminals. We’re not trying to scare you away from voting–we think you should vote. But, we do want you to know how your data is collected and sold, and what you can do about it. DeleteMe helps you regain your privacy by removing personal information from the leading data brokers online. Data brokers can obtain your personal information via public records (like voter records) and display it online for anyone to see. When your personal information is aggregated by these data brokers, it enables campaign marketing companies like NationBuilder and Aristotle to run a successful (and very profitable) business model. Make sure that you’re informed and that you’ve cast your vote. Then, protect your information by signing up for DeleteMe.